Simon Payne screening at No.w.here, Bethnal Green Rd, London, 3rd October 2012. Simon Payne showed a broadly chronological selection of work at No.w.here on 3rd of October 2012. There were eight pieces, totalling 52 minutes, including two new ones that take things in a slightly different direction, and both of which involve analogue intervention into digital material, using a camera. 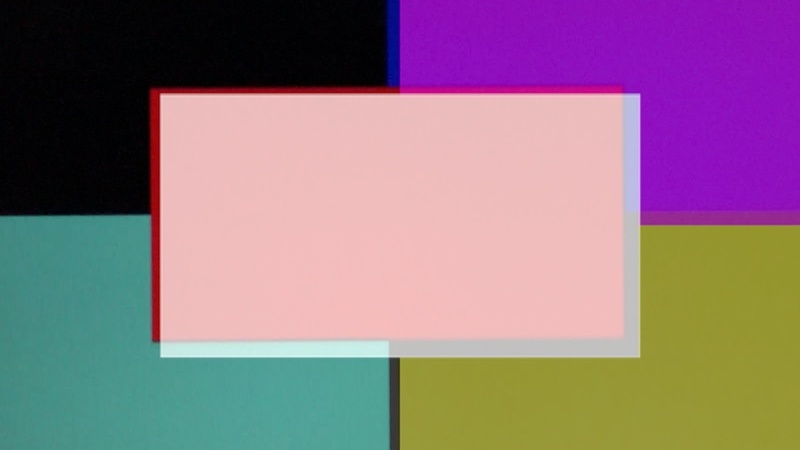 In the first, Test Cards, Payne filmed coloured cards lit by reflective sunlight, while in the second, Twice Over, he filmed off the screen, with a hand held camcorder, an original sequence of digitally generated coloured rectangles. 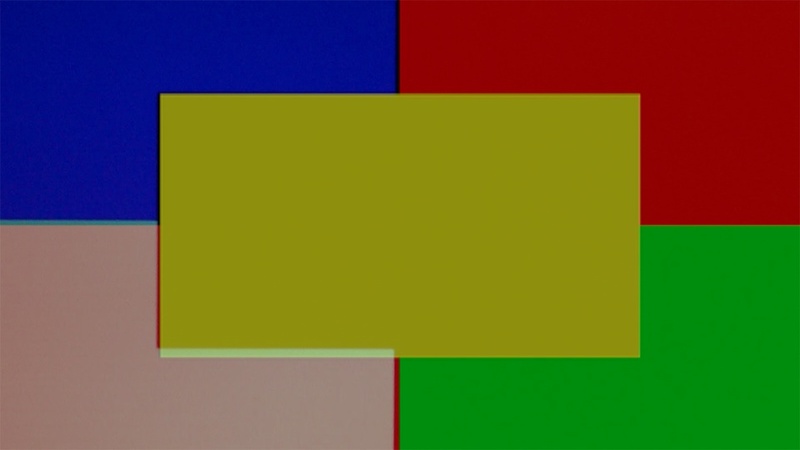 The re-filmed layer and an original variation of it are then superimposed on themselves, so that the discrepancies between them generate a third element: differently coloured slender rectangles that judder between the main blocks of colour. In contrast to the many computer generated works Payne has made over the last eight or so years, the texture of the card plays an important role in the new pieces, as does the “noise” of reflected light and the analogue decay generated by re-filming (as opposed to digital copying). The strategy recalls that of David Hall in his seminal and iconic This is a Television Receiver (1976), where an original TV broadcast was re-filmed off the screen three times, so that the image quality deteriorates step by step as the generations accumulate. Re-filming is also one of the tropes that P. Adams Sitney, in his book Visionary Film, identifies as typifying the Structural Film, and which can be seen, contemporaneously, in parts of Michael Snow’s Wavelength (1967) and more extensively in Ken Jacobs’ Tom Tom the Piper’s Son (1968). However, it is most unusual for re-filmed footage to be superimposed on its original in the way Payne does here. Certainly the effect, which is to generate not a double image in the way one would get by superimposing film, but further kinetic forms that are distinct from those by which they are generated, is unexpected if not unique. Payne builds on his extensive experience of working with additive colour mixing to push his practice into a place where it productively engages with its antecedents. 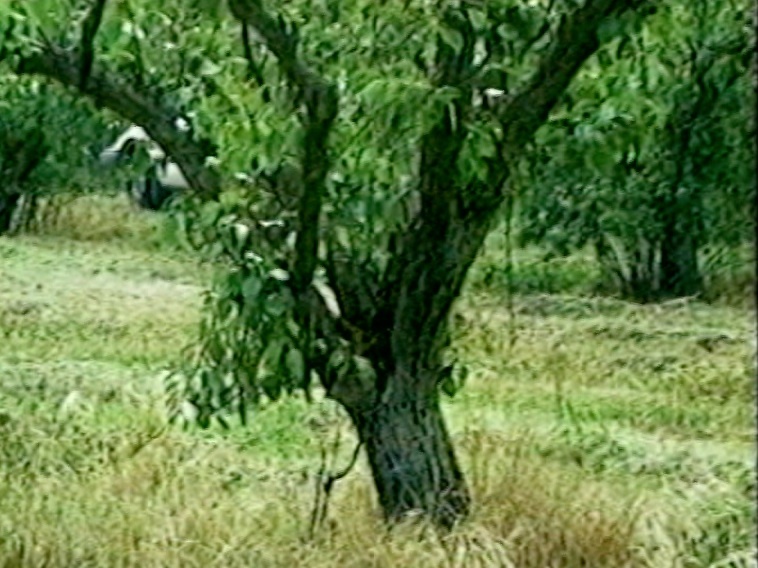 Payne also showed an early landscape piece, May (1998, 2 minutes), consisting of shots of apple trees in a field, where all the short shots are the same length and the tree trunks are uniformly framed. This prompted me to think that the evolution of his work process has mirrored that of Mondrian’s: early landscapes that become increasingly organized and stylised according to non-naturalistic formal criteria. Those forms then become more abstract, as in Vertical Composition of 2002, also shown at No.w.here, which consists of isolated window glazing bars seen against a white background. This brief phase is followed by the many purely abstract pieces, such as Colour Bars (2004) and New Ratio (2007), and which are increasingly rhythmic, recalling Mondrian’s late painting Broadway Boogie-Woogie (1943). However, as Al Rees pointed out during the post-screening discussion, he was sure Simon was not at the end of his career! Indeed Payne’s new work opens up a whole new field of enquiry, potentially leading to a return to camera based work, a move that Payne indicated he was interested in making. Thanks so much for sending me this. It reproduces brilliantly on my iPad screen, and I think that I can actually follow what you are saying.